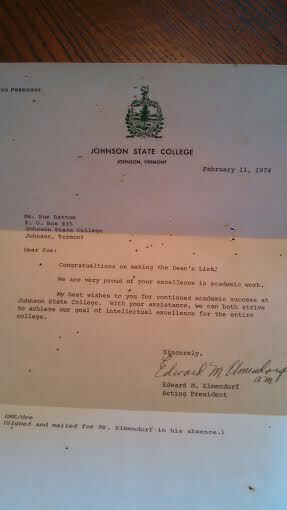 The other day I was going through some memorabilia from my college days. Oh, how I loved that chapter of my life. I came across this letter, which I’ve read many times over, but this time I noticed something I hadn’t previously. I had to laugh. I’ll leave it up to you to find what I am chuckling about. The purpose of this blog is not to find fault, in fact, I am quite sympathetic. The point I am making is about how we are all our own worst editors. Besides any publications I am working on at the moment, I blog daily so I write a lot and I do not have an “inhouse editor.” Even though I proofread my writing, time and time again, after the writing has been posted I see typographical errors. Ahh..well, I’m human. It is as if my eyes see what they want to see, not what is really written. Anyone else have a problem like that? I am much better at editing other’s writing because I don’t know what it says beforehand, so my eyes don’t miss things knowing what it supposed to say. Did you find anything unexpected? The moral of the story: Please do not pass judgement. It happens to the best of us. See you tomorrow on All Things Fulfilling.com. This blog is brought to you by award-winning author Sue Batton Leonard. There is a wonderful exhibit that I recently encountered when browsing the National Archives Museum website called Making the Mark: Stories through Signatures. The exhibition relates to Friday’s blog on All Things Fulfilling which was about how we come to know certain people through their recognizable handwriting. It got me to thinking about computers, and digital publishing, and how my generation, the baby boomers, may be the last population of people who will come to know people by their handwriting. Handwritten notes are very nearly a thing of the past, as are letters posted through the Post Office. E-mail (electronic mail) has replaced good old fashioned correspondence written with pen and paper. As I mentioned in the post called Handwritten Memories getting a letter, note or card that is not computer generated has become something special! If you are a visitor to Washington, DC don’t forget to stop in the National Archives Museum and see the exhibit that is all about notables from history who are known by their “John Hancocks.” http://www.archives.gov/museum/visit/gallery.html. Thank goodness information about some of the most famous people from history and their signatures of all are saved in the National Archives because the art of the handwritten note is quickly disappearing and being replaced by digital signatures, even on legal documents. 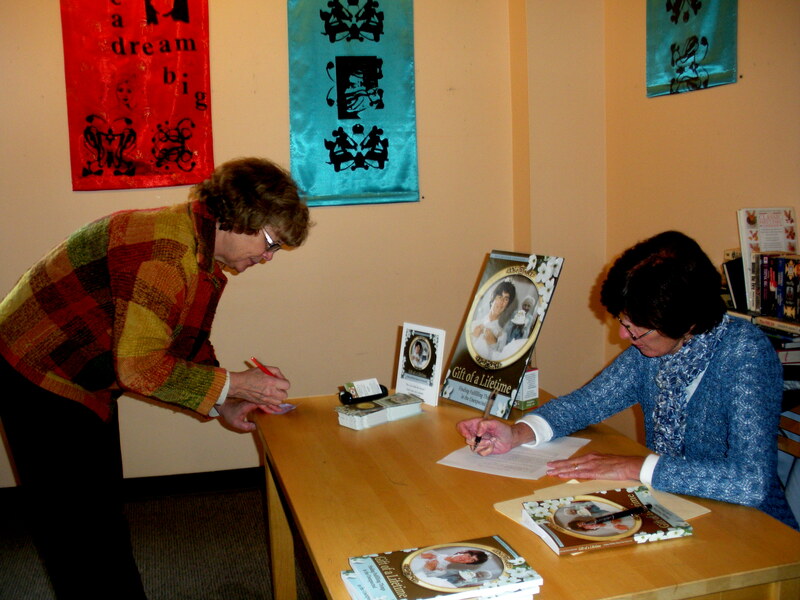 Signing a book for Miz Miller’s daughter, Judy, a lifetime friend. We are at Ukazoo Books http://www.ukazoo.com. 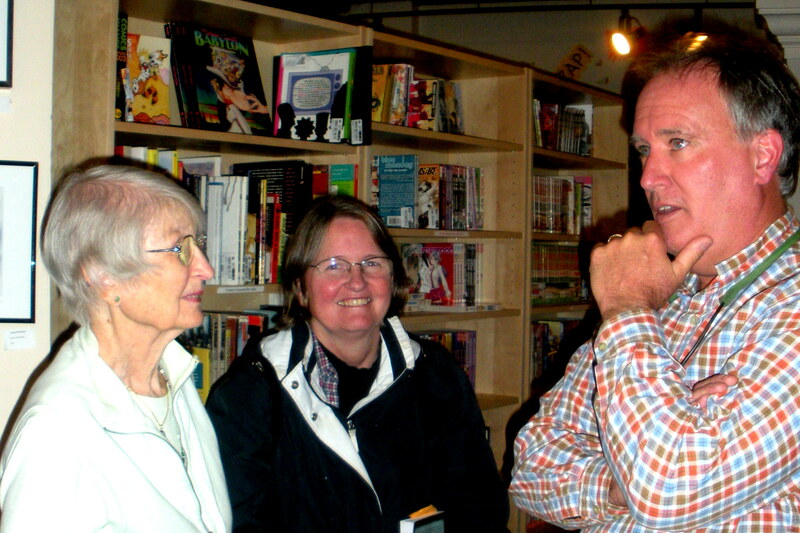 Judy’s parent’s made an indeliable mark on my son’s life and his love for storytelling. http://marcrleonard.com. At Christmastime they gave Marc the most special books from the Northshire Bookstore in Manchester VT. http://www.Northshire.com . We have saved everyone of them so that he can read them to his children if he is blessed enough to have them! This blog brought to you by author Sue Batton Leonard. For information on her award-winning memoir,Gift of a Lifetime:Finding Fulfilling Things in the Unexpected please visit this link.http://amzn.to/1uqmsyo. Soon we will be sliding into winter! So take those few last plunges into the pool, have yourself a tasty Labor Day cook-out, relax and enjoy the long weekend. Today I am wishing we are at the beginning of the summer rather than at the official end. So, I have a special treat for our readers. I have posted a new audio chapter about the national holiday that we celebrate at the start of the summer rather than at the termination. Listen in and enjoy the chapter “A Memorial Day to Remember” from the EVVY award winning book Gift of a Lifetime: Finding Fulfilling Things in the Unexpected. For more information on this book, please visit this website. http://amzn.to/1pdjsCb. Do come back tomorrow. I am going to kick my shoes off and lounge around outdoors on this Labor Day because in the mountains of Colorado we can be faced with the onslaught of winter any day ! It could even happen tomorrow…..please, please no, not yet. I am not ready. 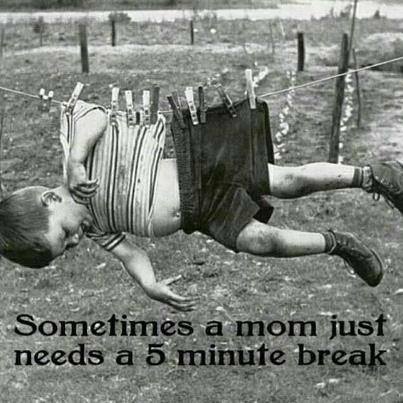 When I came across this image, I couldn’t help but ponder “Why didn’t I think of that?” when I needed to rest after chasing my overly active son all over the place when he was little? It would have given me great relief. Holy Cow, those child rearing years nearly did me in. Of course, to him this would not have been punishment. It would have been great fun and challenge. The little Houdini could get himself out of any situation that took brainpower and physical maneuvering! Active children are often very creative children. Here is a book that might be useful for parents of children who are in perpetual motion. 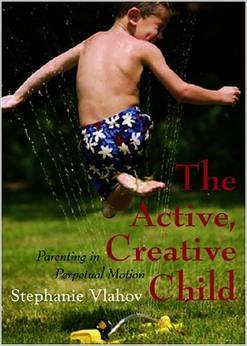 http://www.amazon.com/The-Active-Creative-Child-Parenting/dp/189077247X. Ah…well, once we directed his energy in the right and positive direction, he became a different kid, so absorbed in his interests. As a twenty-something, our son has given me more than enough compensation for what we went through in raising an extremely active child. Now he lends a hand as my tech support person unless he is too busy with his own projects. http://www.marcrleonard.com. Thank goodness he’s had my back in coming to my aid and rescue whenever I struggled with certain stages of publishing my memoir due to generational inequities in computer skills. In spite of myself I successfully completed my own independent desktop publishing project. Not everyone can put that accomplishment under their belt. Now I have an award-winning paperback, e-book and audio book to my credit! I think I did OK for an ole gal who is more comfortable with a card catalog in a library than e-book technology. I need to give myself more brownie points than I do! I am now an award winning author! Yipe!!! Yikes!!! For more information on Gift of a Lifetime:Finding Fulfilling Things in the Unexpected, please visit this link. http://amzn.to/1opTrPS. The audio book won 2nd prize in the EVVY book awards and Merit Award in the anthology category. I sat on my friend’s couch one day a few years ago, so very discouraged. “My computer is not cooperating, I’ve got writers block so I can’t seem to get this chapter right, I can’t get the pictures I need for the book since they are in Vermont……” on and on I went, stating a litany of challenges I faced with my publishing project. “Why would you do something like that, Sue, leave behind pictures you knew you needed for a book ?” my friend asked. “Because I didn’t know then what I know now. Who would have ever thunk, I was going to follow my “someday” dreams and write a memoir when I moved to Colorado!” I said in a grumpy tone. “Why are you bothering to do it then if it’s stressing you? I could never do that -write about my life!” my friend stated with conviction. I was beginning to think I ought to give up my pie-in-the-sky idea as I went through the list of obstacles that I was facing that week in writing and publishing my memoir. If you are wondering why my need to write a memoir was so strong, this song by Nat King Cole explains it. It’s the basis of what’s behind the narrative. I’d had the making of the book inside of me my whole life. It was dying to get it out. 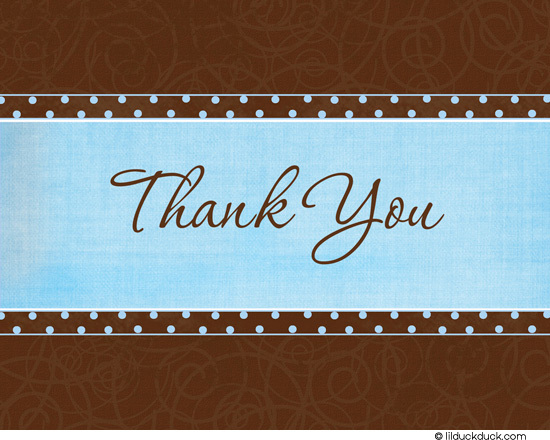 This blog brought to you by the award-winning author Sue Batton Leonard. For more information on the EVVY award winning book Gift of a Lifetime: Finding Fulfilling Things in the Unexpected, please follow this link. http://amzn.to/1nz4veb.